Hello, Good people of the interwebs. A while ago, We put up a post about Tiketmobile, You can read it here. Today, We would be sharing an exclusive interview with Tiketmobile’s cofounder Celestine Ezeokoye. We have been siting on this interview for a while and it has been haunting our dreams. We do hope that someone gets inspired to do their own thing after reading this; which is the direction that this blog has been tilting in recent times, promoting the entrepreneurial mind. Tiketmobile makes it easy and convenient for you to find information about bus tickets, buy the tickets and use it across major inter-state bus routes in Nigeria. We caught up with Tiketmobile’s CEO at Co-creation hub. Celestine: My name is Celestine Ezeokoye. I am the co-founder of Tiketmobile. I currently act as the CEO. Tainsvile: what does Tiketmobile do? Celestine: Tiketmobile lets people conveniently buy bus tickets on their mobile phone. The key word is “conveniently”. Tainsville: How did the idea come to life? Who came up with it/what inspired its founding? Celestine: My co-founder (Constance Okoghenun) had an idea of ticketing for events, then we did a little drift when my brother was going for his NYSC and he had to go and find out the price of the bus a day before he had to travel. So we turned it around from events ticketing to bus ticketing. Tainsville: How are you going about it? Are you in collaboration with anybody? Celestine: The bus companies are listed on it. If you want to travel, you find where you’re going and you pay with your atm card. We are ultimately going to get other companies and other modes of payment, but right now, you pay with your ATM card. When you buy a ticket you’re actually booking. That’s basically what you do. When you buy your ticket, you book a space. That’s what it is. Celestine: Inter-state bus. Long distance bus. Lagos to Abuja, Lagos to benin. Those kind of buses. Celestine: *laughs* Yeah. All those kind of buses. Tainsville: On payment, when the user pays, who is the money going to? the bus guys? How do you remit the money? Celestine: The bus companies get their money. I wouldn’t want to go into details of how we do it. But when the user pays, the bus company gets their money and a notice is sent to them that you’re ready to book. Tainsville: Is there any form of evidence? Celestine: They user gets an sms and a ticket record. The bus company gets an sms and an email of the ticket record. when you go to board your bus, you just provide the ticket record or sms. Tainsville: How many users do you have currently? Tainsville: What have been your challenges so far? Celestine: *pause* *chuckles* ermm if I say things that are very technical it won’t make any sense to everyone. Celestine: The biggest challenge in building the platform is payment, but there are other things. You need relationships. You need partnerships and relationships to make this kind of things work. if you don’t have relationships, you could stay in your house and build an awesome ticketing platform and then you lose in the long run. You put it out and it doesn’t make sense to anybody. The people who should use it don’t see any value in it. So there are relationships that would let you even see the kind of values you need to put in what you’re doing and there are relationships that would actually help you translate those values to what people would want to use on a regular basis. One of the best places to get those kind of relationships is to be in a community, that’s what cc-hub brings. So most of the challenges we have were solved my just joining a community, by joining co-creation hub. Co-creation hub brings in business incubation, business support and then opens you up, creates a perfect platform for you to build those kind of relationships you need. Celestine: I’m selling them(CC-Hub) yeah? Celestine: But that’s it. Basically, if you need to go ahead… there’s nobody that can do it alone…you cant stand alone. Tainsville: Who are the people currently supporting Tiketmobile? Celestine: Co-creation hub, Tony Elumelu foundation, Nokia, Microsoft…errm…those are co-operate organisations. Individuals…Ade Atobatele, Chuka…there are so many people, so many people. If I was at home doing this, I wouldn’t have so many people supporting me. Tainsville: What’s the future for Tiketmobile? Celestine: Tiketmobile is going to be an household name the way Facebook is. The way Google is. It’s just going to be a household name, that’s the future. It’s inevitable…with the help of God. Tainsville: If there’s any other thing, I’ll get back to you. Thank you. Thanks for joining us Celestine! To our readers, check out Tiketmobile.com. Don’t forget to spread the word!!! Tiketmobile’s Promo: 10 Nokia Asha 205 up for grabs! Tiketmobile is offering travellers a chance to win the new Nokia Asha 205 phone. To stand a chance, travellers should book or buy a ticket to any destination listed on http://www.tiketmobile.com and they would enter for the draws. This offer runs from February 1 to March 31. 10 Nokia Asha 205 are on offer and 5 would be given out each month. When a user books a Ticket, they get eligible for 1 slot in the the draw, but when they buy they are catapulted to 3 slots. This would increase their chances of winning. The more tickets that a user books or buys, the more their chances of winning a phone. User have to book or buy the ticket within the period of the offer. User must register on Tiketmobile using valid Nigerian phone number and other registration information. User must be residing in Nigeria during the period of the offer. Winners would be required to provide valid identification details in order to claim their prize. 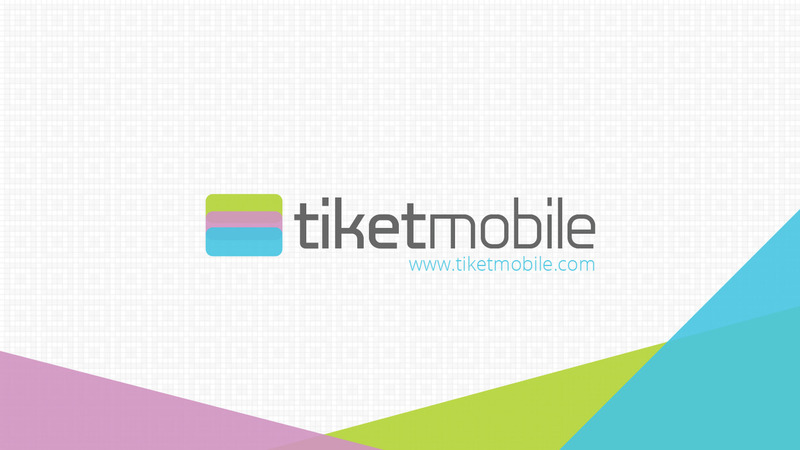 Questions and/or enquiries should be directed to Tiketmobile via their official e-mail address: info@tiketmobile.com or their Facebook and Twitter pages. This promo is supported by Nokia Nigeria and Co-creation Hub.